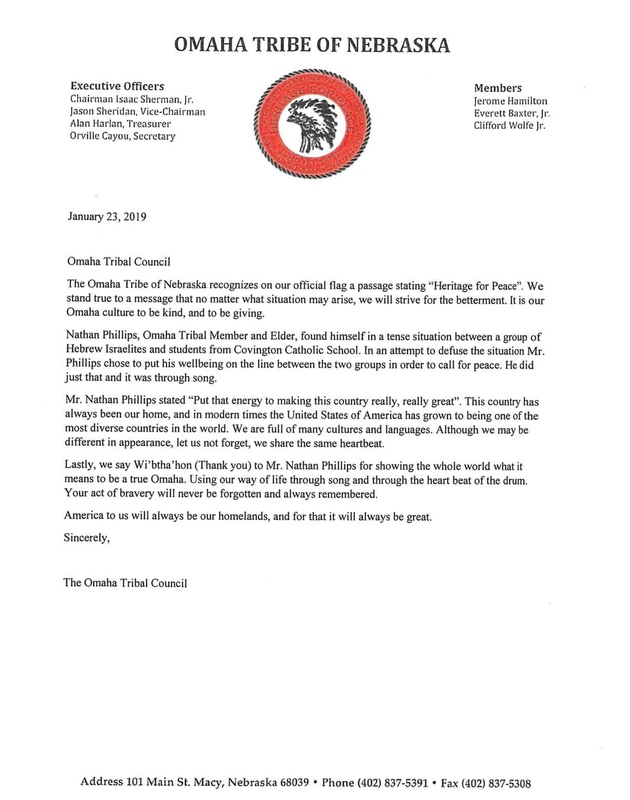 To all my relations… 4 nations.. 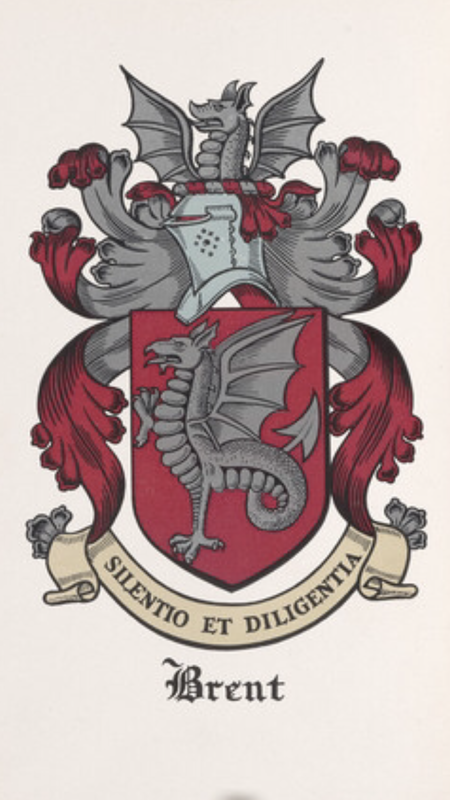 I am also a descendant of the Brent’s, Beavens, and Dorset‘s – some of the Nation’s first Catholic and founding colonial families. According to historical records, my great great great great great great great great great great grandfather Big Beaver Kittamaquund killed his brother Wannas – who was Tayac of the Piscataway at time of contact. Legend says there was 13 hereditary generations of “Tayac’s” before the white man came.. There was a dispute that grew between Wannas and Kittamaquund as to whether or not to grant the European settlers a pass to stay on Piscataway lands. History tells us Kittamaquund killed his brother Wannas- committing an act of fratricide, and then assumed the role of Tayac. A portion of the tribe was loyal to Kittamaquund and a portion to Wannas.. when Chitomachen Kittamaquund became sick, the Jesuit priest Andrew White is said to have cured him with a concoction of some sorts, prompting Kittamaquund to convert to Catholicism and change his name from Chitomachen to “Charles”. He was the first Piscataway to be baptized by the Jesuit Priest Father Andrew White. 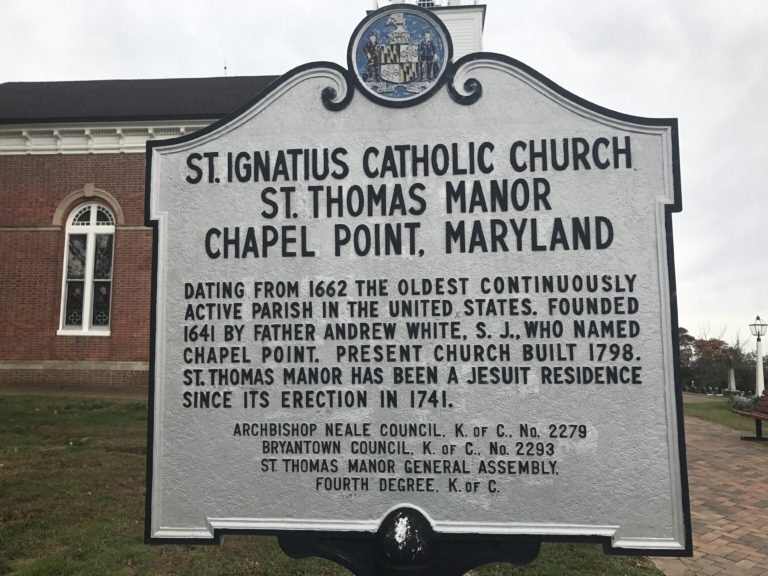 This happened on July 5th, 1640, a 136 years before the constitution of the United States was formed – in what has became the oldest continuously active Parish in the United States – St Ignatius Church in St Mary’s county. 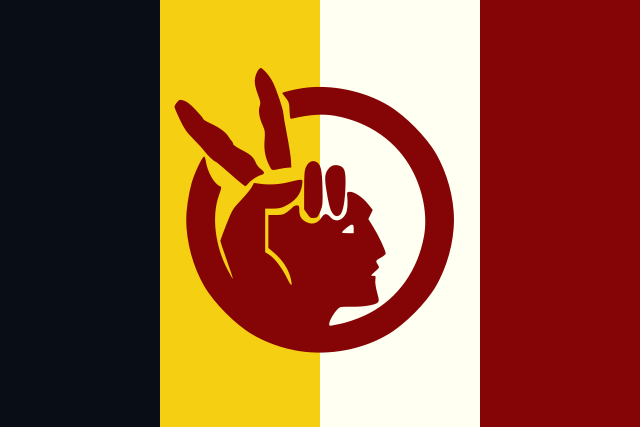 It seems as though the Piscataway Nation has been divided in different factions and bands since that time, and has had to fight ever since, for land, recognition, and respect. 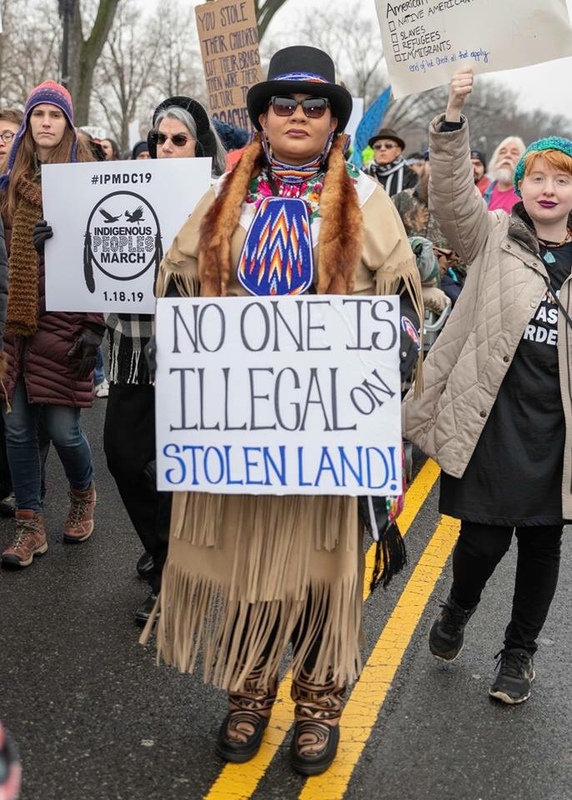 Right in the heart of what was to become a “New Rome” (Washington, D.C.), situated on a tributary of the Potomac once called Tiber by early Catholics.. between the states of Virginia and Maryland (“Virgin Mary”). 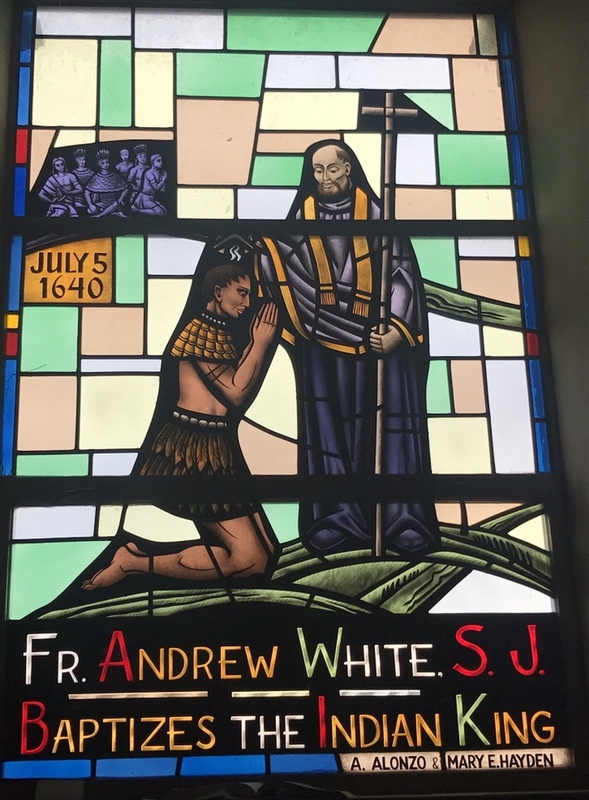 There actually is a Jesuit conspiracy theory the White house namesake is Father Andrew White. 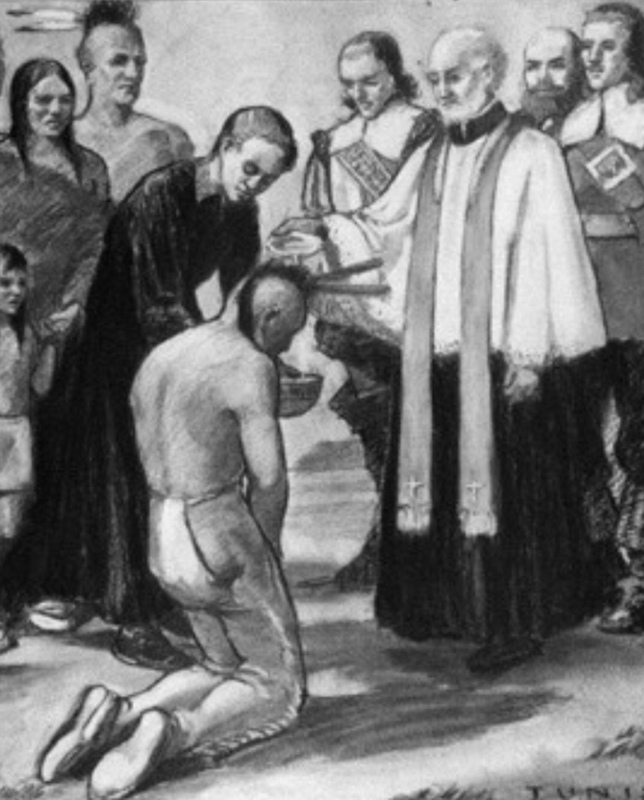 In the artist rendition above Chitomachen Kittamaquund kneels at his baptism in front of Father Andrew White. On his left you see my ancestor from the English side, Giles Brent Sr. The young woman on the left, is Chitomachen’s daughter “Mary”, who was at the time 7 years old. After Kittamaquund’s conversion, he sent his daughter to live amongst the Catholics in St Mary’s city, in order to learn the English ways. 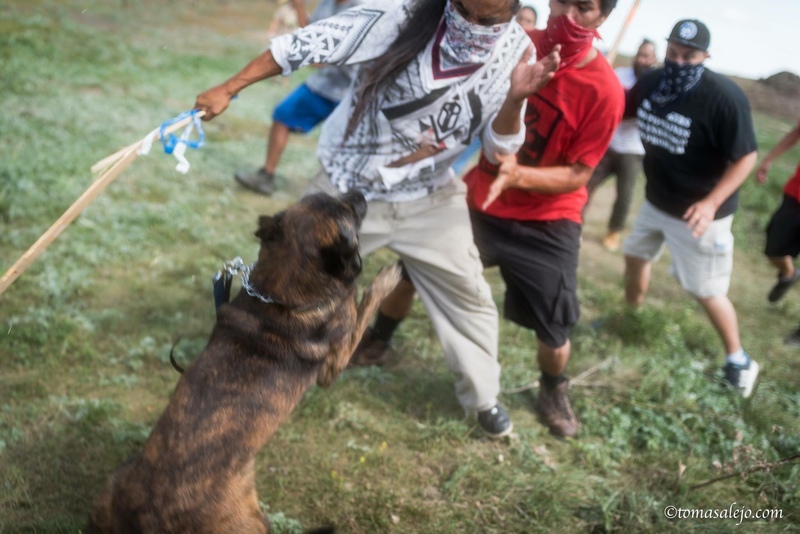 Kittamaquund hoped his daughter would someday communicate between the two nations. 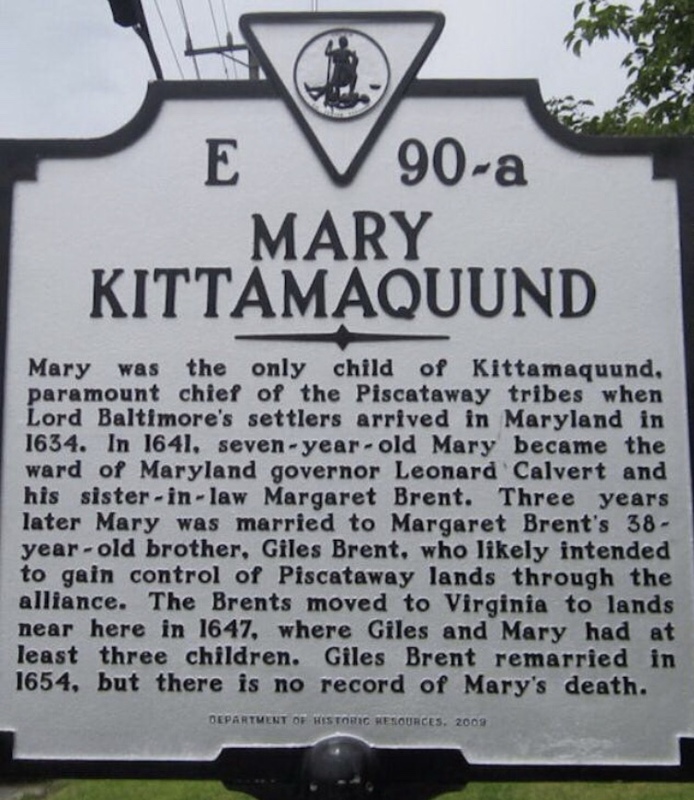 Something entirely different happened.. Kittamaquund then mysteriously died and in 1644, Giles Brent, in his 30’s, was granted permission to wed the young Mary Kittamaquund who was 11 or 12 at the time. Brent asserted a claim to Piscataway lands, contrary to both tribal custom and Governor Calvert’s own claims... [Carr]. Some of this land would eventually become part of George Washington’s Plantation at “Mt Vernon“, which sits directly across the Potomac from the Piscataway Ancestral burial grounds of Moyaone, Piscataway State Park. 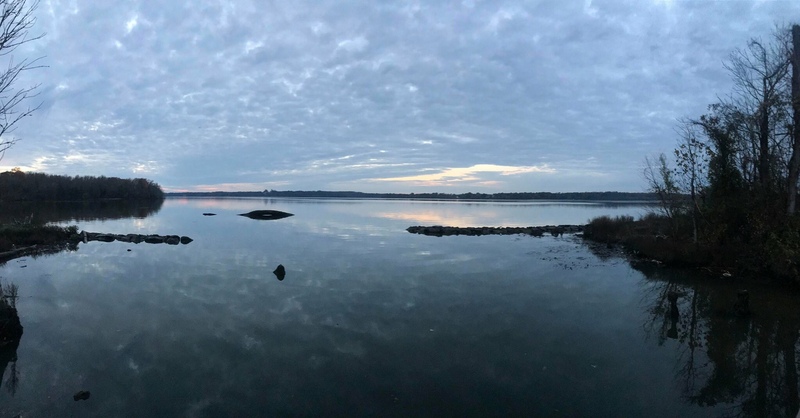 View from Piscataway State Park, Maryland, looking across the Potomac to Mt Vernon, Virginia. 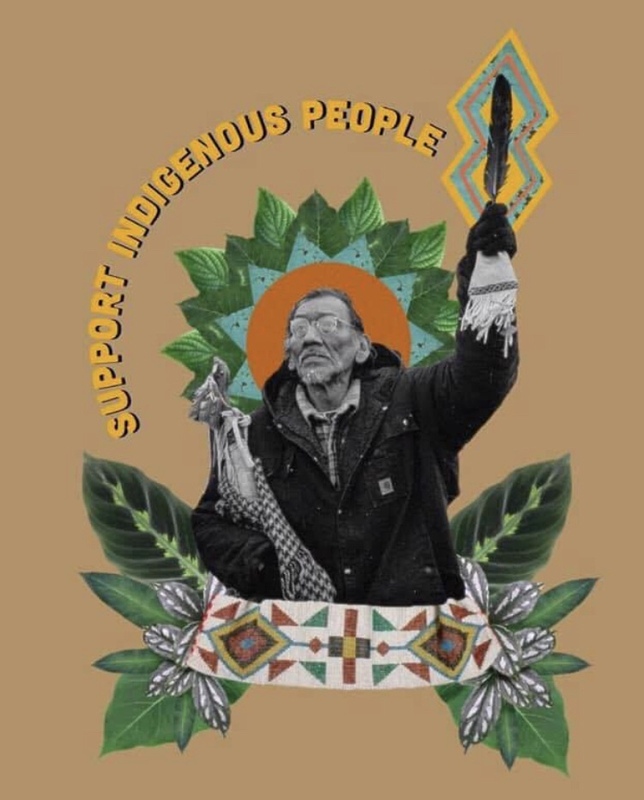 In the video below, Sebi Medina-Tayac, of the Piscataway Nation, speaks about the historical and cultural significance of the first Piscataway- Catholics and St Ignatius Church. 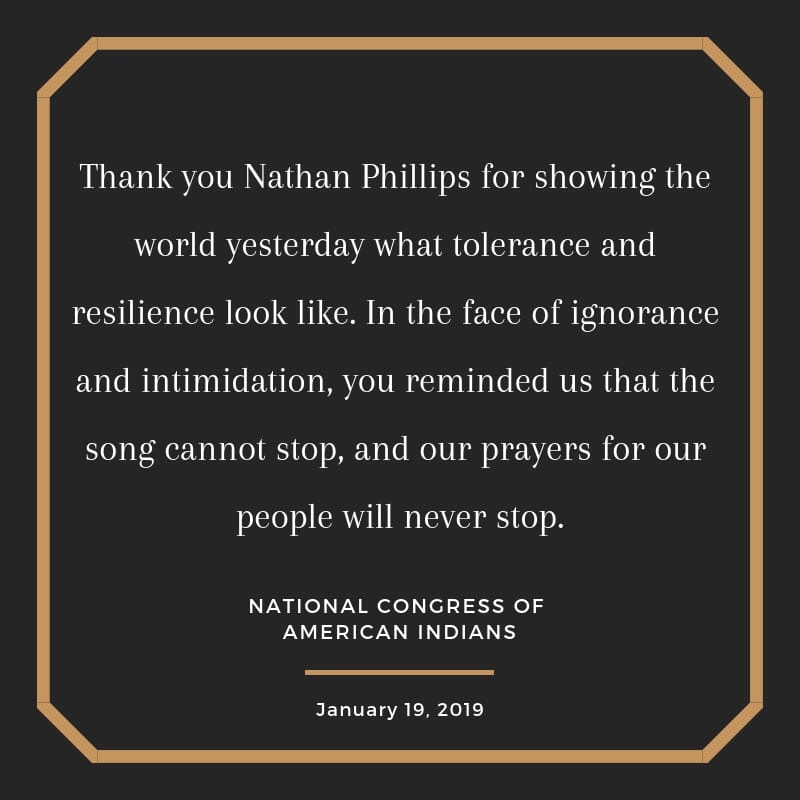 I stand with Nathan Phillips and the Indigenous People’s march. 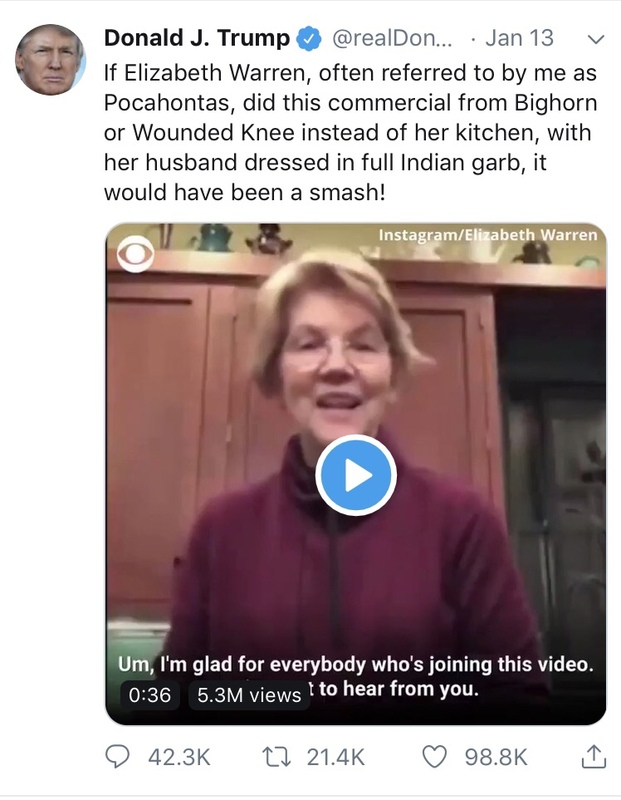 I’m not concerned whether or not Omaha elder Nathan Phillips has an arrest record or that he went AWOL during the Vietnam era- I would have done the same thing. 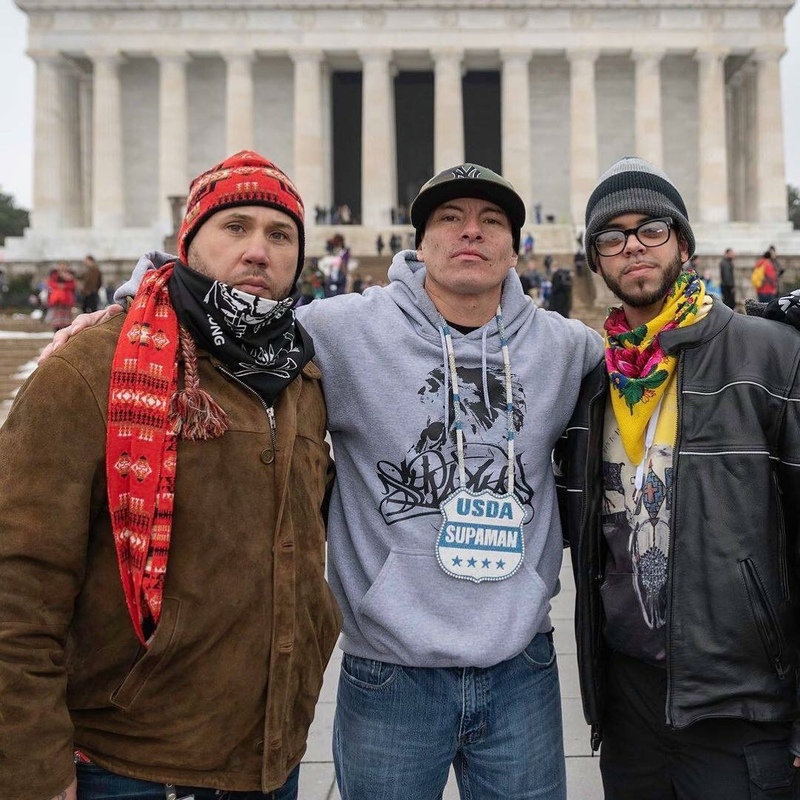 No matter how you interpret his military service (or your perception thereof), Nathan Phillips put his life and liberty on the front lines as an elder and Water Protector at Standing Rock. 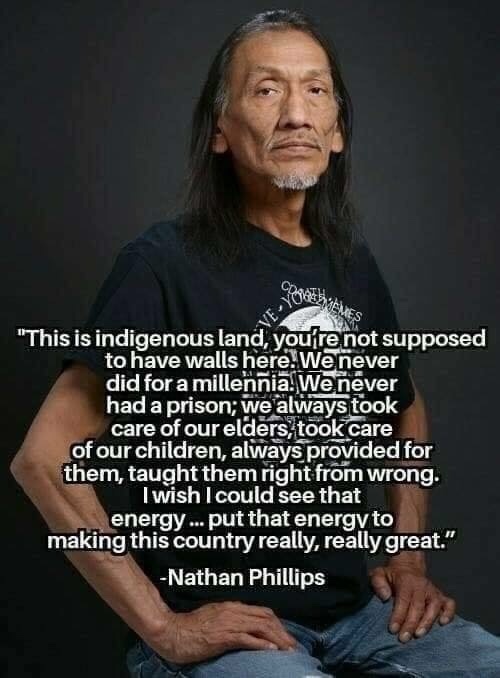 Nathan Phillips is not an armchair revolutionary- but a decades-long Veteran of the American Indian Movement. 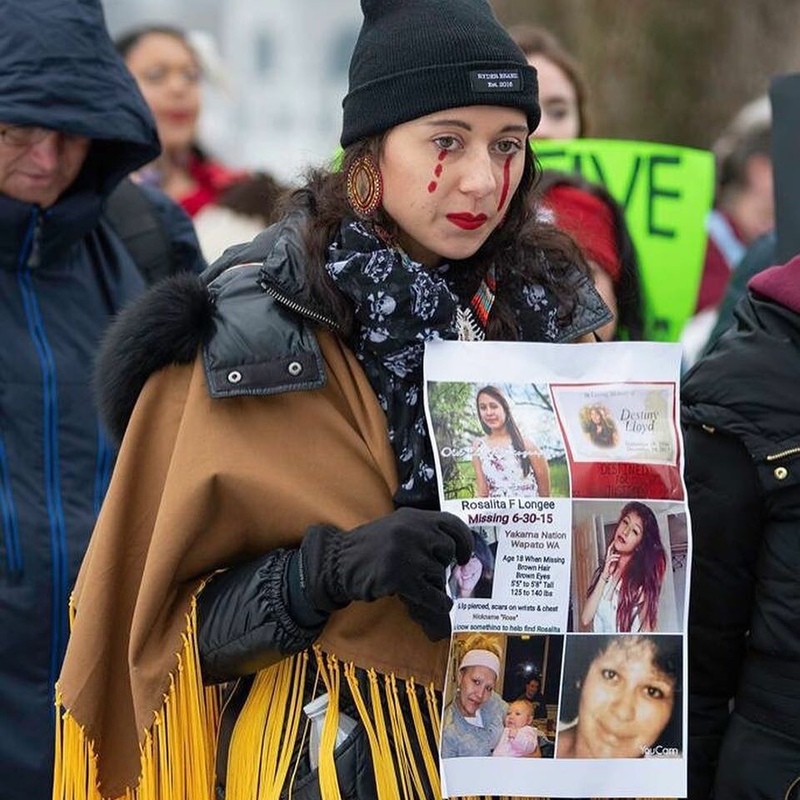 My orientation is a non partisan by any means necessary advocacy for Indigenous People: survival, rights, sovereignty, cultural preservation, land repatriation, green economics, and Awareness of the Missing and Murdered Indigenous Women and Girls. 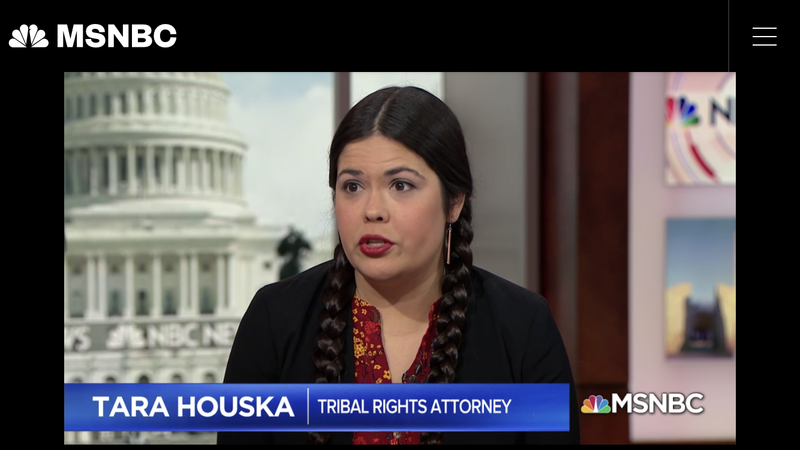 Organizer of Indigenous Peoples Day March responds to viral video. 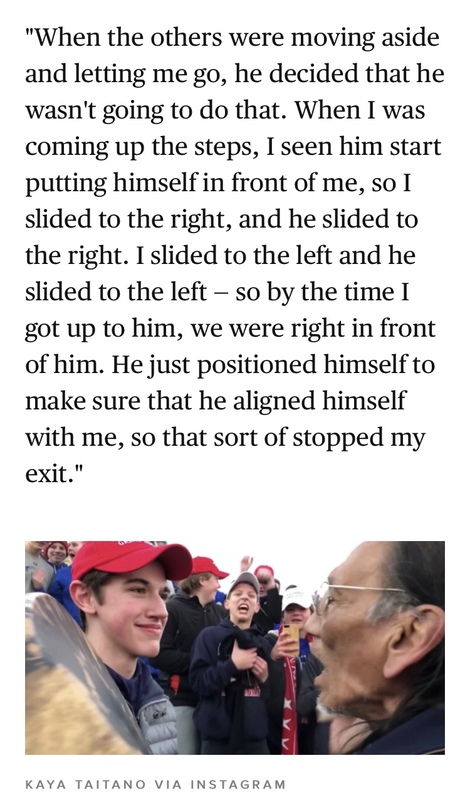 The narrative shifted as Nick Sandmann’s family retained RunSwitch, a Louisville Kentucky publicity firm, who’s founding partner was an adviser to George W. Bush and Mitch McConnel. 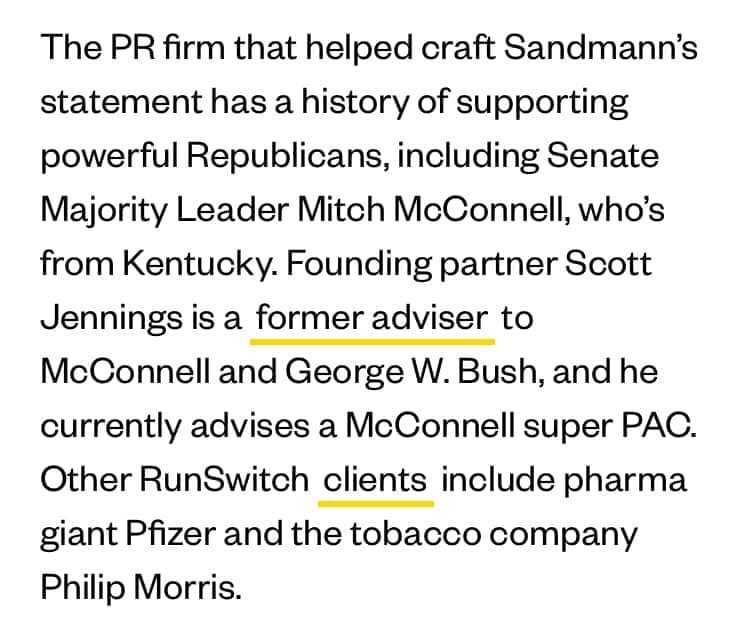 RunSwitch not only helped craft Nick Sandmann’s statement, but has a history of supporting powerful Republicans and Fortune 500 companies such as Amazon, Pfizer, Phillip Morris International, and Long John Silver’s. 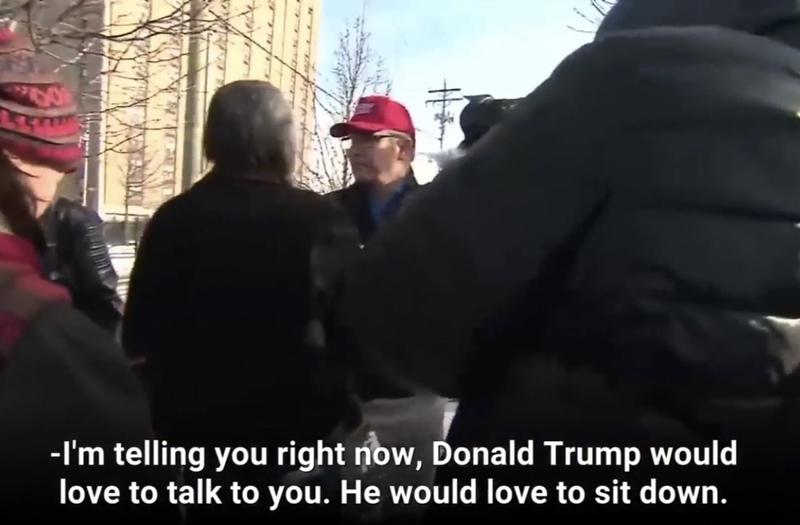 It was at this point- when the second video came out, showing Nathan Phillips walk up to the Covington Group, that some people’s perceptions about the confrontation began to change. 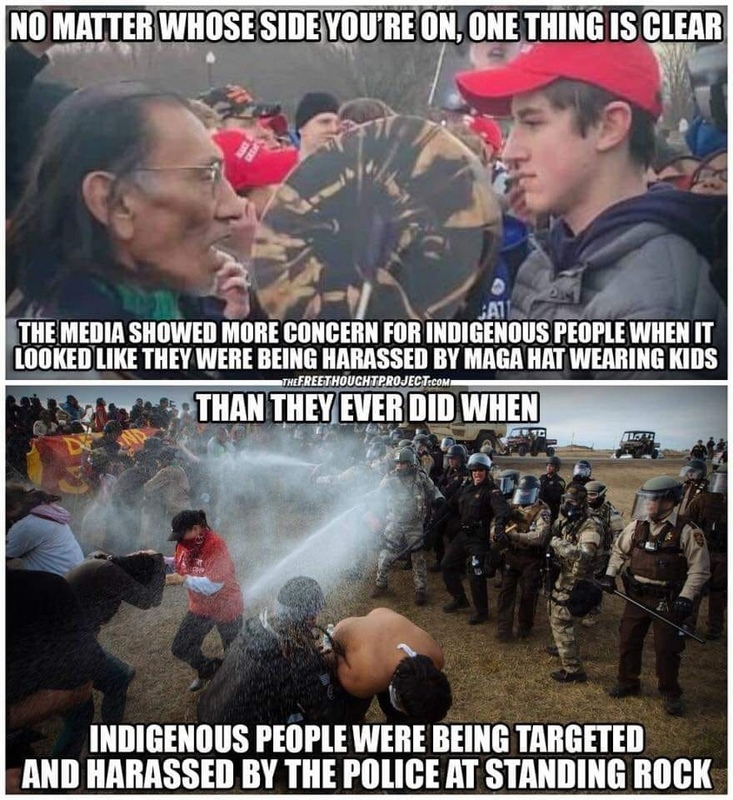 I noticed even some Natives began to actually say “they didn’t support Phillips” and thought Nick Sandmann “showed great restraint” when he was approached by Phillips drumming.. “by not backing down and holding his ground” (irrespective of his political beliefs, MAGA hats, complexion, entitlement smirks, and culturally appropriated Tomahawk Cops). The question here is a matter of respect and intent. 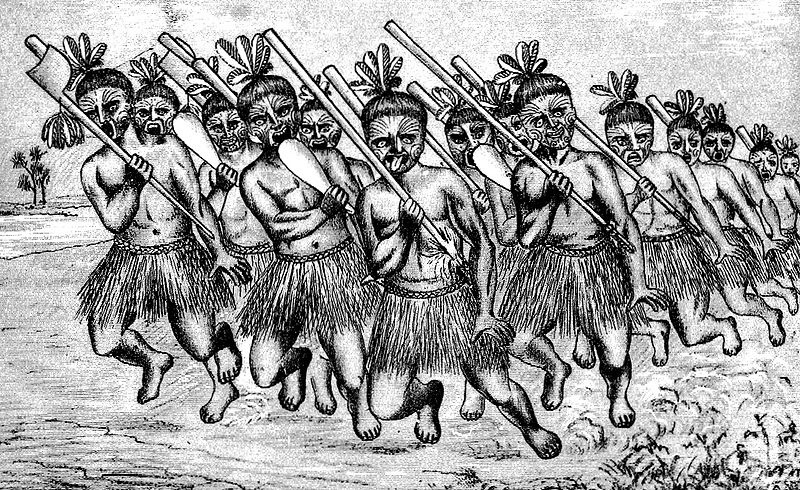 Did the Covington Boys respect, know the words, and understand the cultural significance of the Haka? -or- is it just something they do at sporting events to turn up? 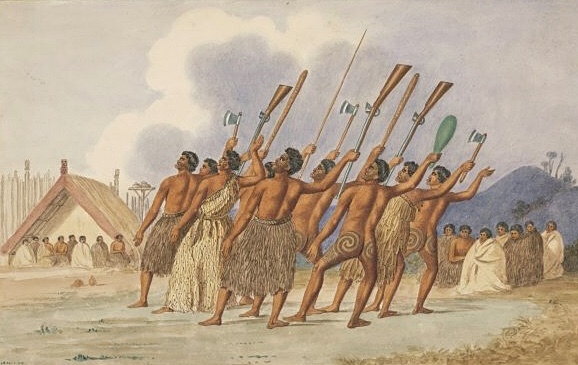 Do they know anything about the history of the Maori Death rates and life expectancy due to the effects of colonization , the introduction of diseases post contact, musket warfare, loss of land, or mortality rates of children and girls? That spirit was moving and you could feel it, it was moving through us…. 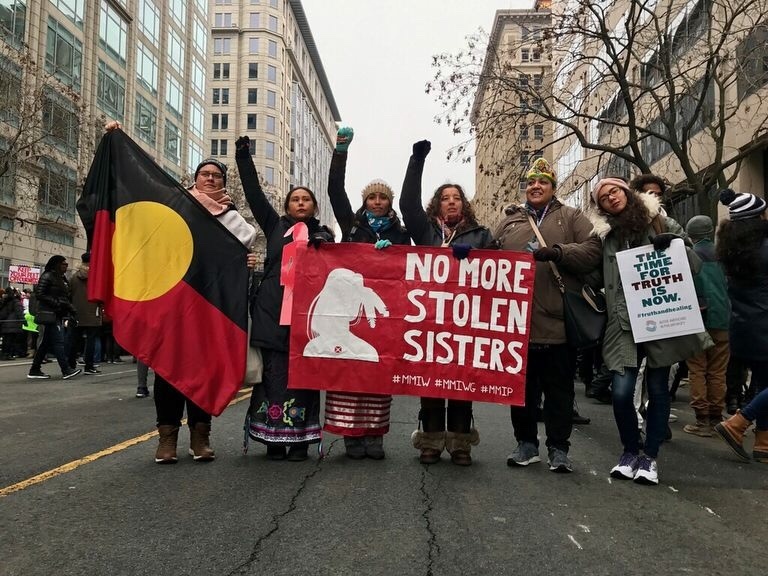 This country is in a state of emergency, mentally, emotionally, politically, spiritually and so on and at that moment it was drum, song, spirit and solidarity that was needed to show the world that what we’ve carried for so long as a people will carry us in time of need and when that happens the spirit will scare away that sickness. But it takes time. 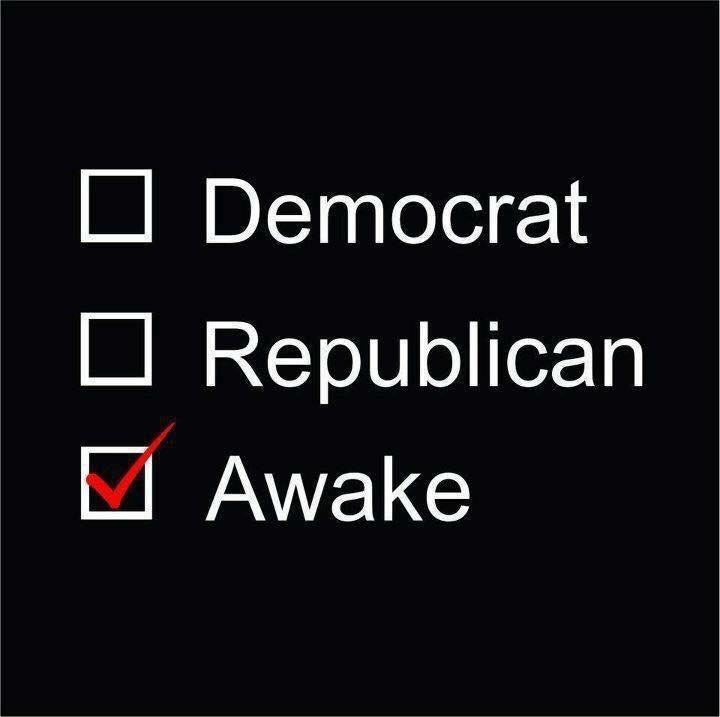 We were in the center of that circle, pushing the good medicine outward. Everything happens for a reason at a certain time and people are chosen to do great things. Its just whether or not they can step into their true self and live. It was an honor to stand next to elder Nathan. 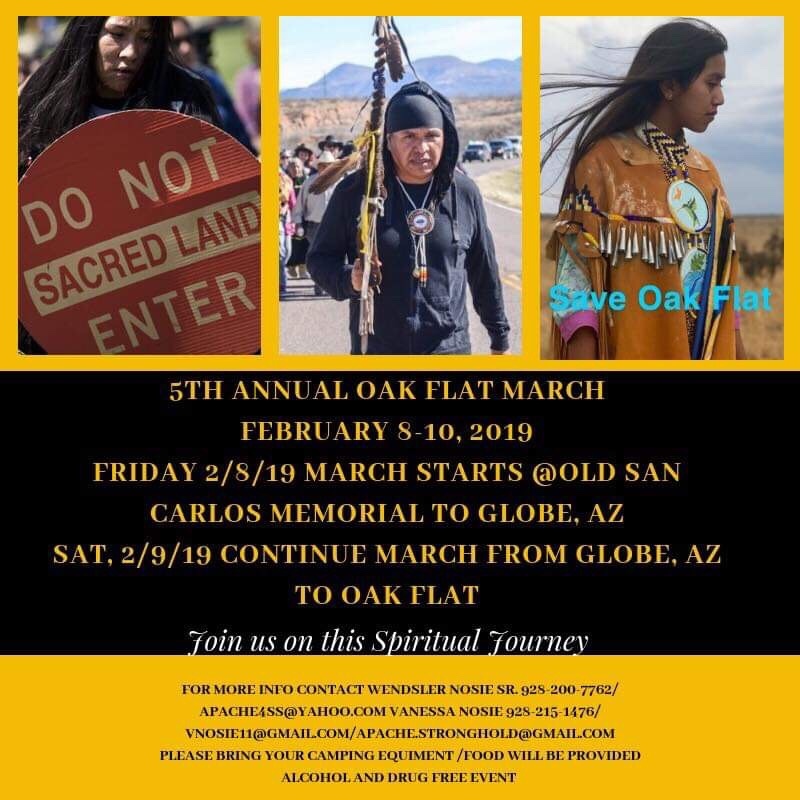 I met Marcus by way of the San Carlos Apache Artist “CeCe”, and was blessed to have inipi ceremony with him at Oak Flat in February 2017. 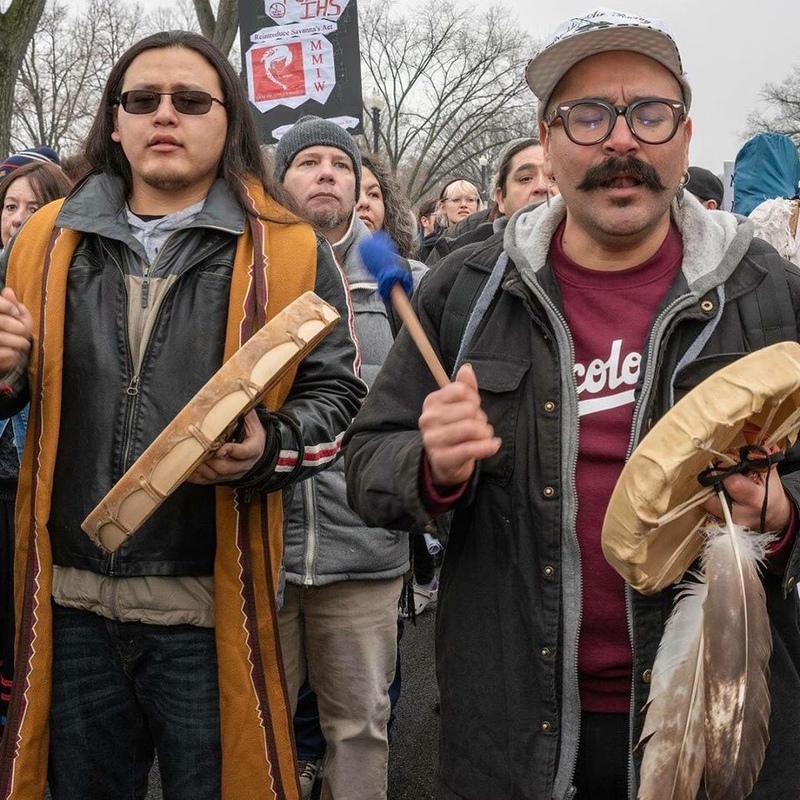 I reached out to interview his drum about the experience drumming with Nate at The Indigenous People’s March. 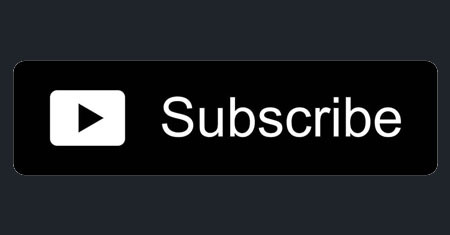 Me: “With everything going on, what do you have to say about this drum”? 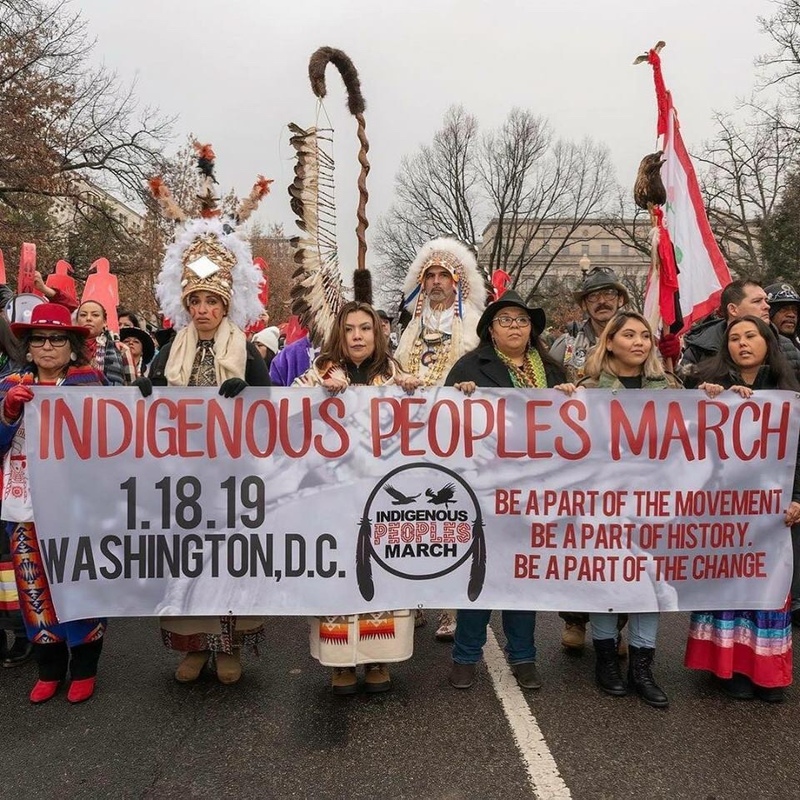 For more reading check out:￼a curated list of Native responses to what happened on Friday, January 18, 2019 at the Lincoln Memorial in Washington, DC. 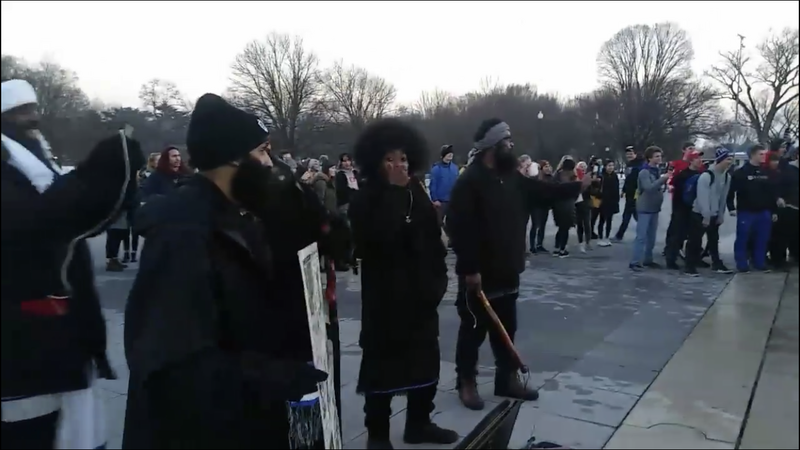 2 comments on "I Stand with Nathan Phillips and Indigenous People!" Superbly thorough. 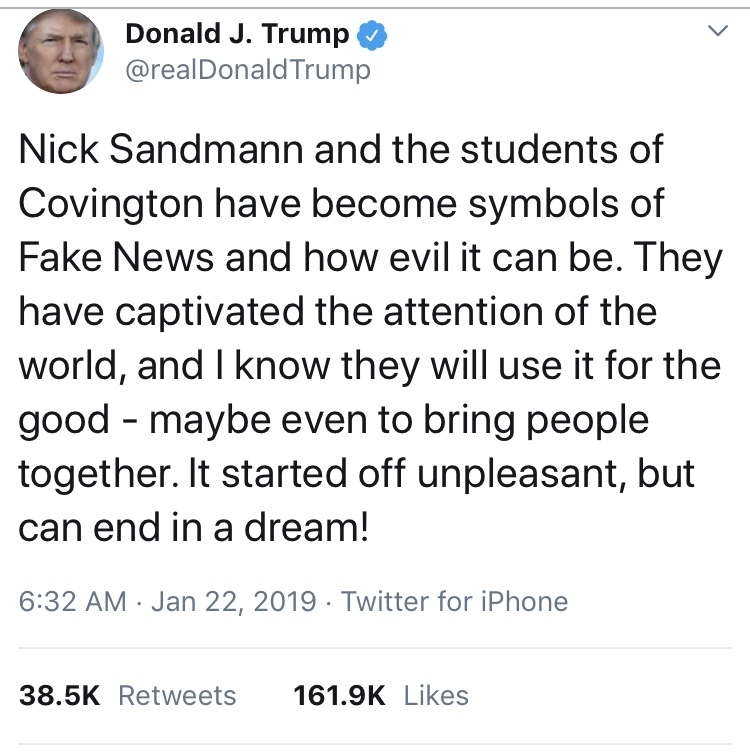 Thank you for your perspective which should be shared widely.